These aim to reduce your mental and physical arousal before going to bed. Relaxation techniques may help even if you are not anxious, but find it hard to get off to sleep. There are a number of techniques. For example, progressive muscular relaxation has been shown to help promote sleep. This technique consists of tensing and relaxing various muscle groups in sequence. Regular daytime exercise can help you to feel more relaxed and tired at bedtime. This may help you to sleep better. (However, you should not do exercise near to bedtime if you have insomnia.) If possible, do some exercise on most days. Even a walk in the afternoon or early evening is better than nothing. However, ideally, you should aim for at least 30 minutes of moderate exercise on five or more days a week. Moderate exercise means that you get warm and slightly out of breath. You do not need to go to a gym! Brisk walking, jogging, cycling, climbing stairs, heavy gardening, dancing, and heavy housework are all moderate-intensity physical exercises. Briefly, cognitive therapy is based on the idea that certain ways of thinking can trigger or fuel certain health problems, such as poor sleep. The therapist helps you to understand your thought patterns. In particular, to identify any harmful or unhelpful ideas or thoughts which you have that can contribute to you not sleeping well. The aim is then to change your ways of thinking and/or behavior to avoid these ideas. Also, to help your thoughts to be more realistic and helpful. Cognitive therapy is often used in combination with a behavioral intervention (such as stimulus control, sleep restriction, or relaxation training); this is then called cognitive behavioral therapy (CBT). Please see our Sleep Hygiene section. 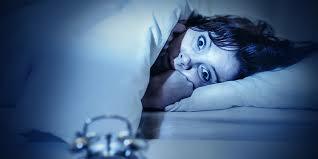 Contact us for more information about our Insomnia treatment program!